Verruca Vulgaris, simply known as warts, are small flesh-looking skin growths originating from human papillomavirus. The virus is spread from one location to another, or from person to person by contact with the affected area. These benign dermal bumps can appear anywhere on the body depending on the strain of virus. Usually self-diagnosable, warts often require medical treatment, which may include cryotherapy, topical medications, or surgical removal. Have you noticed sudden appearance of skin tags on your body that seem to be multiplying? That’s because these tiny benign skin growths are in fact caused by viruses, which explains why they tend to spread throughout the body, most commonly attracted to the neck, armpit, decolletage, or groin area. Skin tags growth often is exacerbated by elevated insulin levels,which typically exist in obese patients. Although skin tags are neither painful nor harmful, they may become irritated by rubbing against clothing or simply cause distress related to aesthetic appearance. Fortunately, easy and effective skin tag removal is available with the use of conventional or electrosurgery as well as cryotherapy. Lumps are various types of skin growths like granulomas, lipomas, skin cancers, cysts or abscesses, removed and treated depending on the type of lesion. Usually, they are simple procedures using local anesthetic with no down-time. The specimen is removed and sent to pathology for a specific diagnosis to guide treatment. This painful and irritating condition occurs when the edges of a nail grow into the flesh of your toe. Although the problem is typically associated with the big toe, it isn’t unusual for ingrown nails to affect other toes, or even fingers. Multiple factors are responsible for the onset of the condition, such as improper trimming, nail or cuticle damage due to biting or injury, or fungal infection. At-home care may not be sufficient since ingrown nails often lead to infections and abscesses manifested by redness, swelling, or pulsating sensation around the infected area. Wound healing is one of the amazing biological processes our bodies perform naturally. However, deep wounds and cuts classified as laceration may need immediate medical attention due to the risk of infection and further damage. At New You, our fully qualified and experienced providers guarantee precise, pain-free suturing and wound closure, as well as further treatment and care to ensure proper tissue healing. 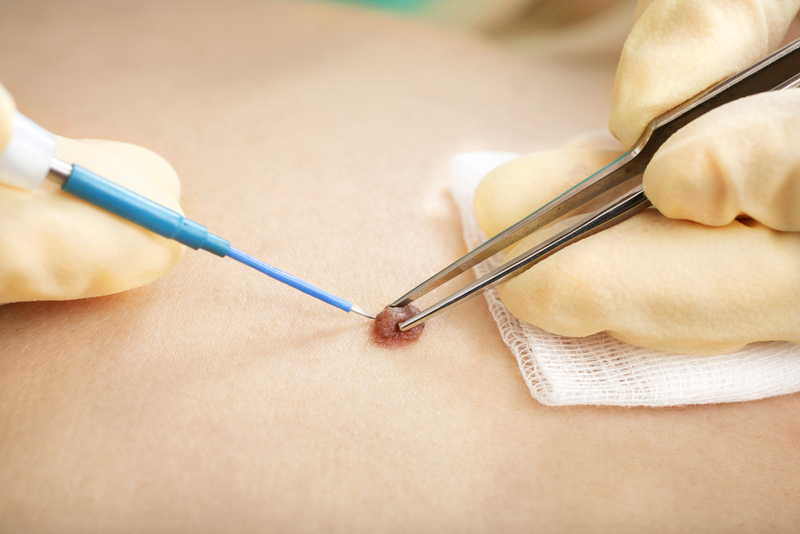 Dermal infections are extremely common and often self-diagnosable. When the tissue of skin becomes inflamed, your body’s immune system reacts rapidly by sending white blood cells to fight the infection. As a result, a painful and swollen pocket filled with pus may appear in the infected area. Medical treatment of such conditions includes draining the abscess by making an incision to relieve the discomfort, typically followed by treatment with antibiotics.